A couple of weeks ago we celebrated my son's 1st Birthday. It was a monkey themed party and I may or may not, have gone a little over board. lol. 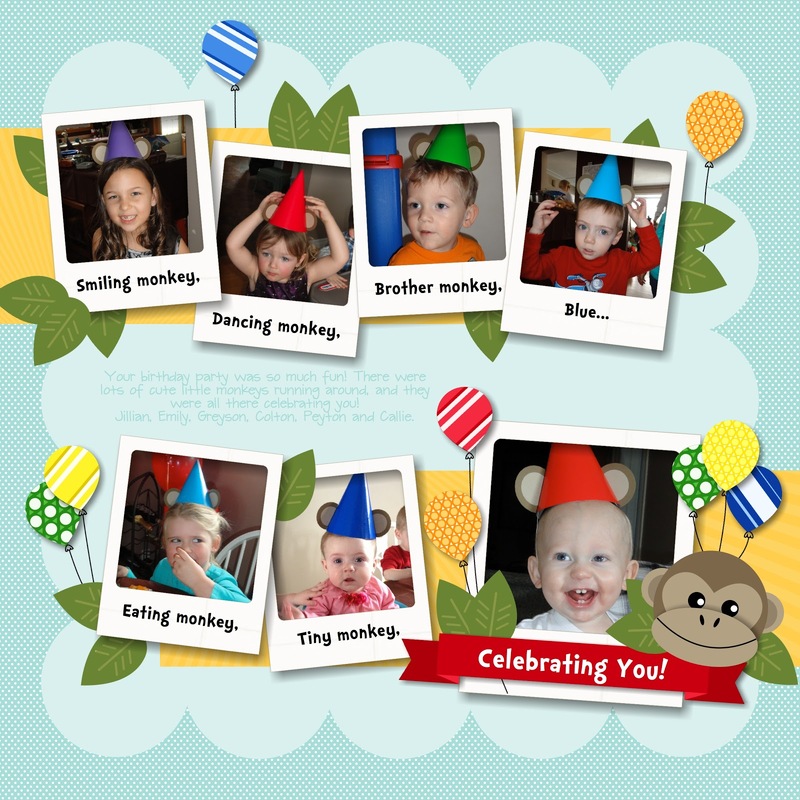 One thing I did do, was decorate the party hats with monkey ears. The kids looked so cute running around in them. I would have loved to get a group photo but the kids were to busy having fun and lets face it... It probably wouldn't have happened, as their ages ranged from 5 months old to 6 years old! So, I decided to snap individual pictures of them and create a page! I think it turned out cute and I love that I was able to make a little "Dr. Seuss" like, rhyme for my title. Thanks for stopping by and as always, Happy Creating!